1945 Research Papers go into the major events of this year including bombing of Hiroshima. It was considered a year of beginnings and endings. The year 1945 was a beginning and an ending. The Truman era began battle with the ideology and politics of Joseph Stalin. Half way around the world, the first atomic bomb dropped on Hiroshima and changed the destiny of politics for the remainder of the century. World War II had just ended and the Cold War began. The bombing of Hiroshima set into motion the realization that a new era of warfare had begun. American culture was flooded with scare tactics on the power of nuclear war and a new enemy emerged from the Iron Curtain, the Soviet Union. The idea of a cold war had begun in the 1930’s but remained a silent threat known only by those who understood the power of nuclear weapons. By the time of the use of the atomic bombs on Japan, the basic principles of The Hague Convention had been largely ignored by all sides in the conflict. This deterioration in the regard for the evolving humanitarian principles of warfare began in the European conflict with the bombing of the civilian targets in London and Berlin by the belligerents. Once the conventions were breached with no international means of enforcing the agreements, it became an easy matter for the magnitude of the breach to accelerate. The logical outcome of the breakdown of the restraints imposed by the Conventions was the use of the atomic bomb. The complete breakdown of the moral and ethical standards for the conduct of war that had been gradually evolving was clearly demonstrated by the use of atomic weapons on civilian populations. The experiences of the war and the large-scale impact of combat operations on civilian populations created a new imperative to develop a more defined and enforceable set of international agreements regarding the conduct of war. This led to the creation and adoption of the Geneva Conventions of 1949, which for the first time included specific provisions for the protection of civilians during wartime. Enforcement was left to the international community, ostensibly under the auspices of the United Nations, which could engage in various levels of sanctions for breaches of the Conventions. From this perspective, the destructive power of the atomic bomb was the culmination of a breakdown in the evolving law of warfare that provided the motivation to create a more definitive and enforceable international system. The only consequence to the United States after its use of atomic bombs on Japan in violation of the Hague Convention was a degree of moral approbation. As one of the victorious nations in the conflict, there was no nation or international body in a position to sanction any of the Allies for their conduct during the war. The Allied nations themselves engaged in war crime trials of the defeated enemy, although in the case of Japan, it was only a token number of military officers who were brought to trial. This strongly suggests that the body of existing international conventions and treaties regarding the conduct of war at the time was not viewed objectively. Its interpretation became largely a matter of the outcome of the conflict, with conformity to international conventions regarding the conduct of warfare determined by the victor. 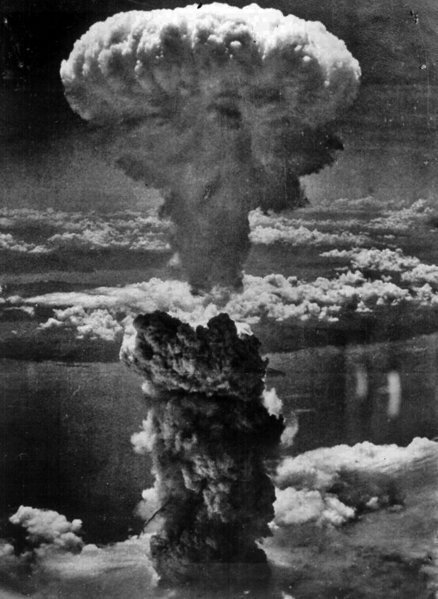 While there may have been some strategic reasons for the use of the atomic bomb on Japan, it is probable that the same outcome could have been ultimately achieved by a means less destructive to the civilian population. Such an assessment involves speculation, however, which is counterbalanced by the actual fact that the use of the weapons promptly ended the war. It is apparent that moral and ethical considerations played only a minor role in the decision to use the atomic bombs. While various individuals involved with the attack had strong moral reservations regarding the use of the weapon, these reservations were outweighed by the perceived necessity of the moment. This suggests that the immediate realities of warfare tend to outweigh the abstract ethical and moral principles of the individuals engaged in the conflict. After the conflict ended, however, a degree of guilt from the violation of ethical and moral codes appeared to have developed among many of the individuals directly involved with the atomic strikes. This appeared to be a personal response, with the United States as a whole largely indifferent to the fact that it had violated moral norms as well as international agreements in its use of the atomic bombs on Japan. English Renaissance was part of the broader European transition from Medievalism into the beginning of the modern era. Another Great Depression research papers look at the possibility of the U.S. Economic Crisis turning into a depression. FDR and the New Deal Research Papers examine the New Deal and it's success at solving the depression. House Un-American Activities - When in 1949 the former Soviet allies exploded an atomic bomb, American fears of Communism were greatly increased. Cold War Time line research papers explain the events from the beginning and conclusion of the Cold War. Paper Masters writes custom research papers on 1945 and go into the major events of this year including bombing of Hiroshima an many others, it was considered a year of beginnings and endings.